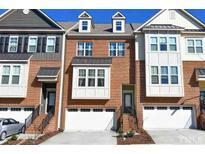 Below you can view all the townhomes for sale in the Fryars Gate subdivision located in Cary North Carolina. 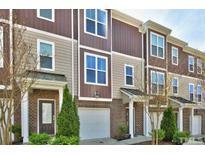 Listings in Fryars Gate are updated daily from data we receive from the Raleigh multiple listing service. To learn more about any of these townhomes or to receive custom notifications when a new property is listed for sale in Fryars Gate, give us a call at 919-634-6501. Enjoy time outdoors on the spacious deck off Living Room & kitchen or lower level patio. Tankless water heater. MLS#2248499. 2739. Community has clubhouse, pool and playground. MLS#2247848. 4241. 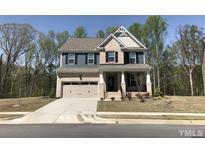 Convenient Cary location; lovely neighborhood w/pool and playground. Walking trails nearby! MLS#2244796. 1618. Master and 2 more Bedrooms and a cozy loft on second, On a cul-de-sac road with no through traffic, Community Swimming pool & playground, Minutes to RTP, shopping, Greenway trails. MLS#2240828. 1767. Washer and dryer convey as well as wall mounted tv in MB. Convenient to all things Triangle. MLS#2238458. 2989.